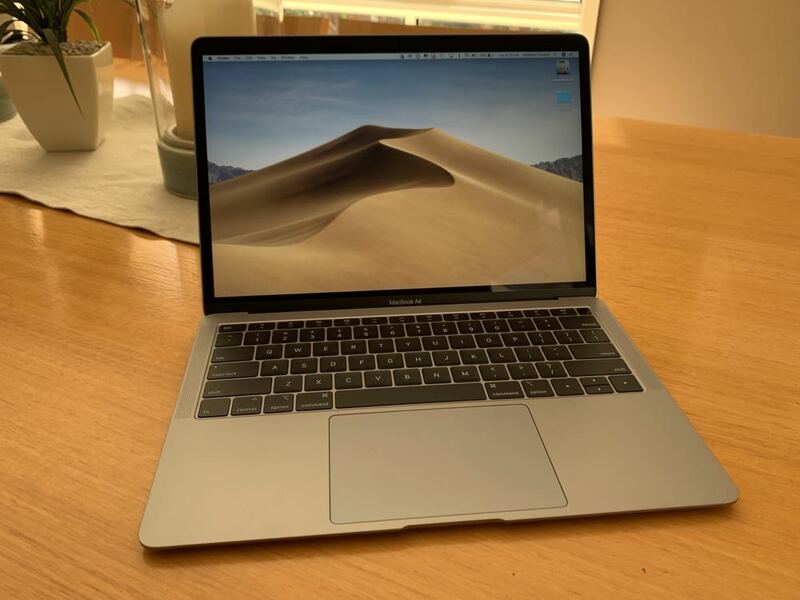 The MacBook Air has spent the last decade setting the bar for powerful yet thin laptops and the latest version maintains that leadership and delivers outstanding performance that's wrapped in an attractive chassis. When Apple introduced the MacBook Air in 2008 it set the tone for ultra-thin laptops for the next decade. Apple CEO Steve Jobs stunned the Macworld audience by removing the device from an envelope. I was actually in the audience that day and that unveiling was a huge deal at the time. 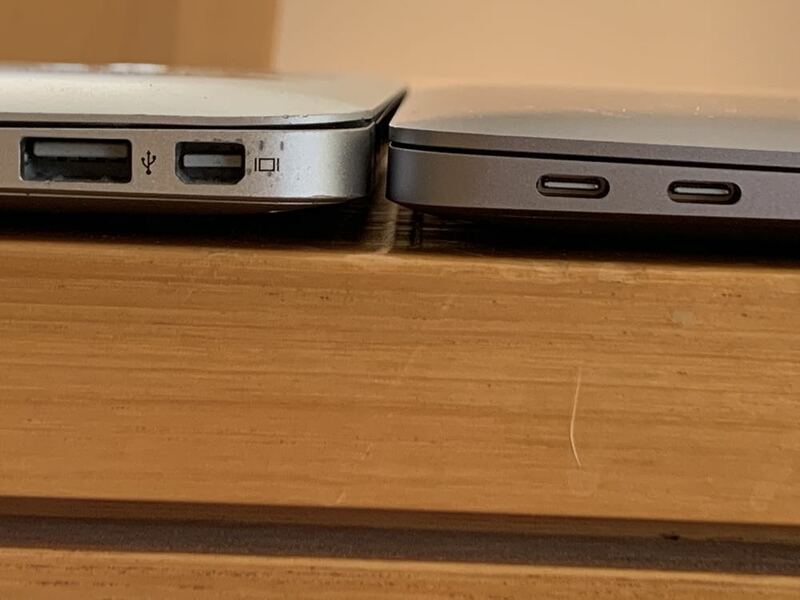 We had all been grappling with larger, thicker and heavier laptops which we assumed we were saddled with for years to come. But then Apple came along with the MacBook Air and changed everything. 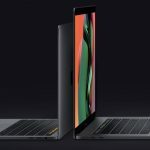 The beloved laptop (Apple calls it the most loved Mac) has now had a significant update – the first update for some time. 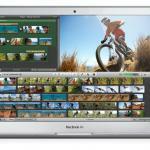 It’s no longer Apple’s thinnest laptop – that title now goes to the smaller MacBook. But the MacBook Air is still right up there in terms of popularity and this latest iteration will make it even more popular. On the design side there have been some subtle changes. Outwardly it looks virtually identical with its distinct wedge shape but it has shrunk. 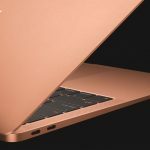 It is thinner and lighter and measures just 15.6mm at its thickest point – that’s 10 per cent thinner and with 17 per cent less volume than the previous MacBook Air. This new model is also the first Mac to be made from 100 per cent recycled aluminium. 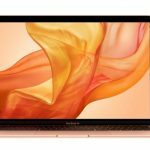 One of the biggest changes for the 2018 MacBook Air is the addition of a 13.3-inch Retina display with a resolution of 2560 x 1600 at 227 pixels per inch. 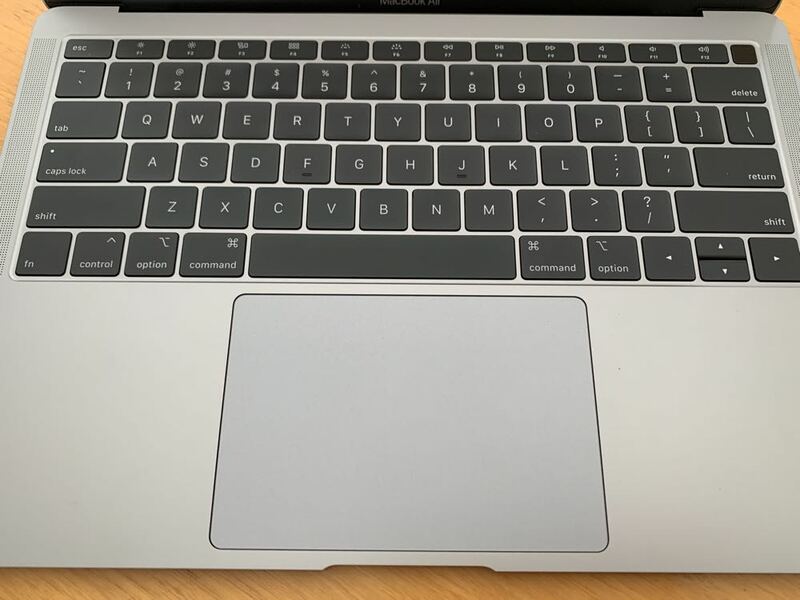 It was the one feature the MacBook Air lacked that’s now sorted with a screen that offers 48 per cent more colour through its more than 4 million pixels. The bezels have also been greatly reduced and are now black to match the other MacBook laptops in the Apple range. Anyone who has used a MacBook Air will instantly see and appreciate the difference – including us. It makes an already capable laptop even more attractive for users. On a laptop the keyboard and trackpad are where all the action happens and the new MacBook Air has improved both. Apple has included its latest generation keyboard with an even steadier scissor mechanism for improved responsiveness and accuracy. To put it plainly – there’s less wobble in each key. Even the sound of our typing has been dampened. 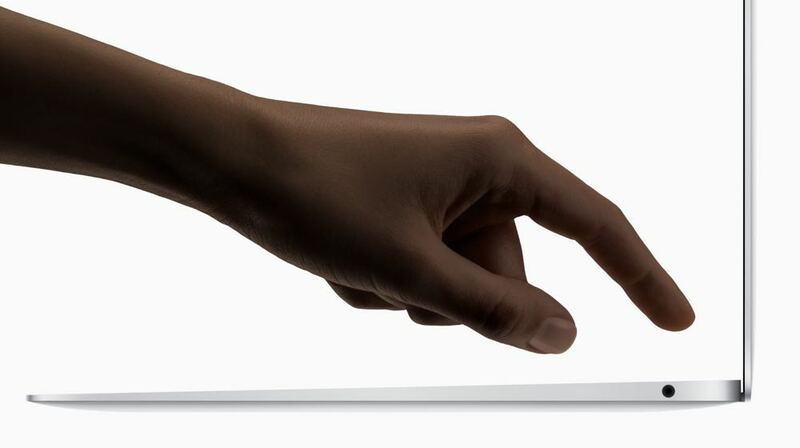 The other big addition is the Force Touch trackpad that has a 20 per cent larger surface area to allow even easier gestures as well as even more precise control and consistent response. 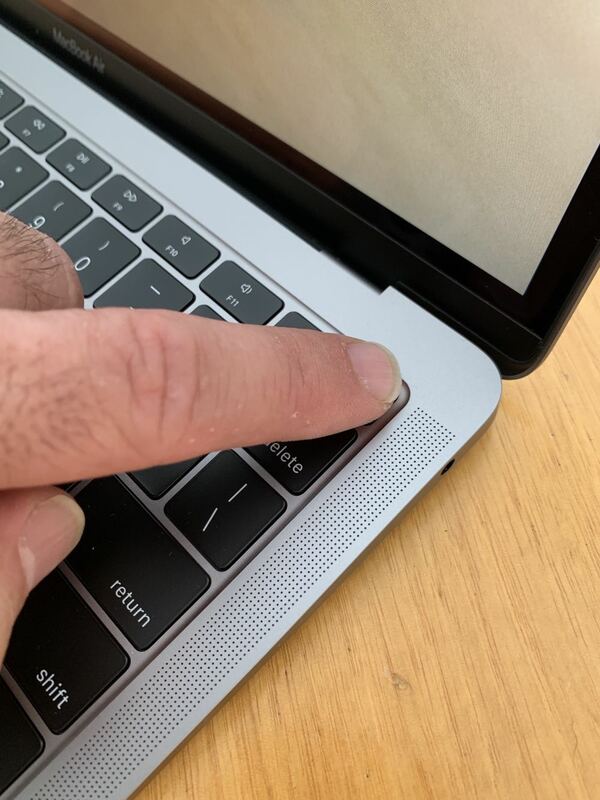 There is no TouchBar – that’s a feature reserved for the MacBook Pro range – but one thing the MacBook Air has inherited is Touch ID which is now built into the power button. This allows users to quickly unlock the device, access locked documents and notes as well as download apps and pay online with Apple Pay. Setting up your fingerprint is super easy and will take just a couple of minutes like it does on the iPhone. The new MacBook Air includes Apple’s T2 Security Chip to make the computer even more secure. A special Secure Enclave protects your Touch ID information and also ensures a secure boot process to ensure the system has not been tampered with. The chip also brings “Hey Siri” to the MacBook Air for the first time to get even more done just by using your voice whether it’s asking questions, opening documents, playing music and finding files. 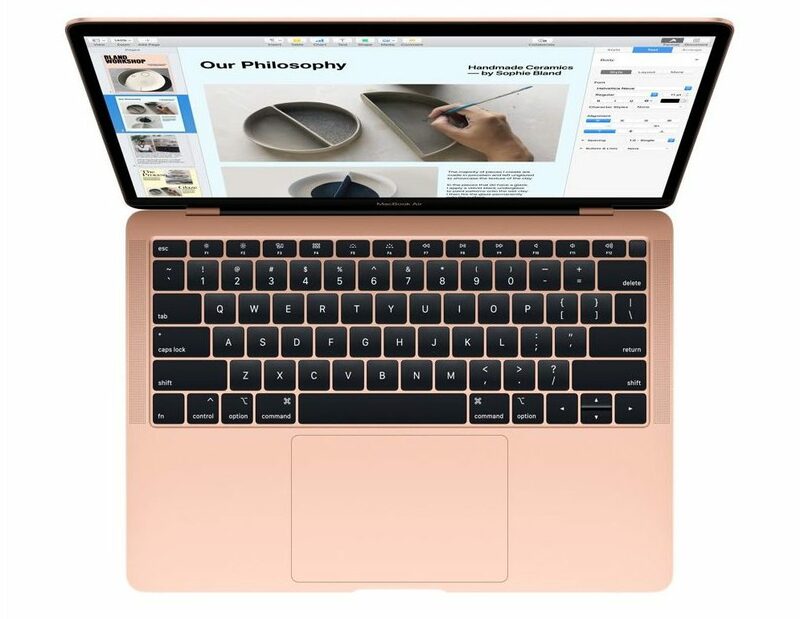 The new MacBook Air includes the Intel Core eighth generation i5 processor and the Intel UHD Graphics 617 with the ability to install up to 16GB RAM. Also under the hood is an SSD (solid-state drive) and you can go up to a capacity of 1.5TB. 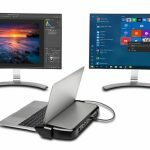 This really adds to the speed of the laptop both in terms of opening and accessing files and running some processor-heavy applications. 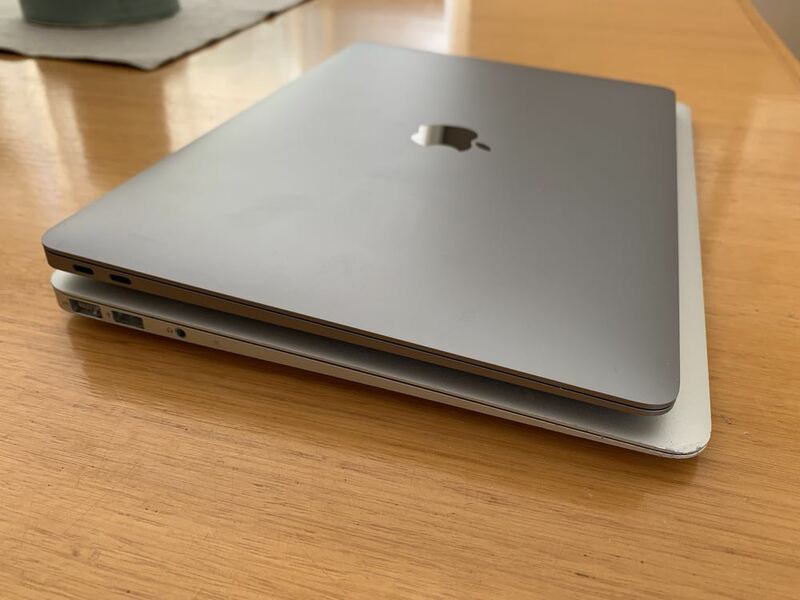 No, the MacBook Air is not going to smoke the MacBook Pro in the performance stakes but can still offer solid and steady performance even when you throw some difficult tasks at it. The MacBook Air has two Thunderbolt 3 (USB-C) ports that can be used for charging, data transfer and video out. When transferring data it’s possible to hit speeds of 40Gbps all the same ports can support up to two 4K display or one 5K display. 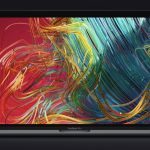 The sound performance has also been noticeably improved thanks to stereo speakers that deliver twice the bass and 25 per cent more volume than the previous generation MacBook Air. So whether you’re watching movies or listening to music, this new MacBook Air will sound better than ever before. Apple has once again delivered with a battery that lasts up to 12 hours. 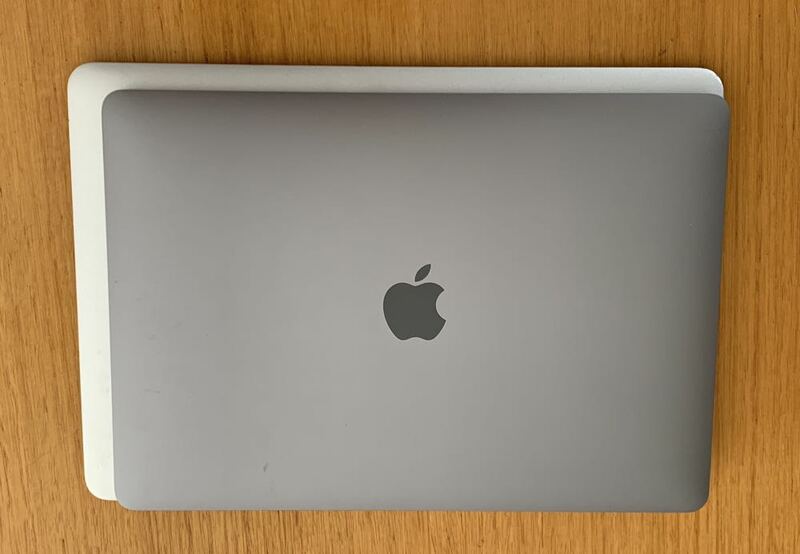 For our review we used the new MacBook Air as our daily driver and it smashed through the day with plenty in reserve by sundown. It’s good to know you’ve got a solid battery for those times when you want to get through your day without plugging in whether you’re on a flight or on the move on the ground. 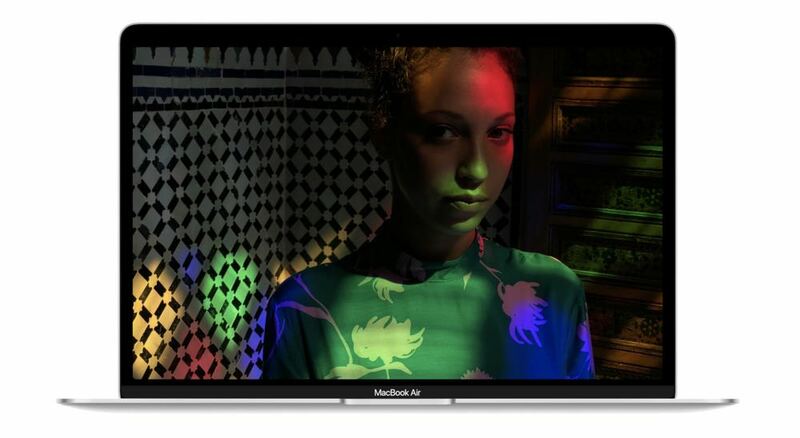 The MacBook Air is available now and priced from $1,849. Apple actually still sells the non-Retina display model for $1,499. 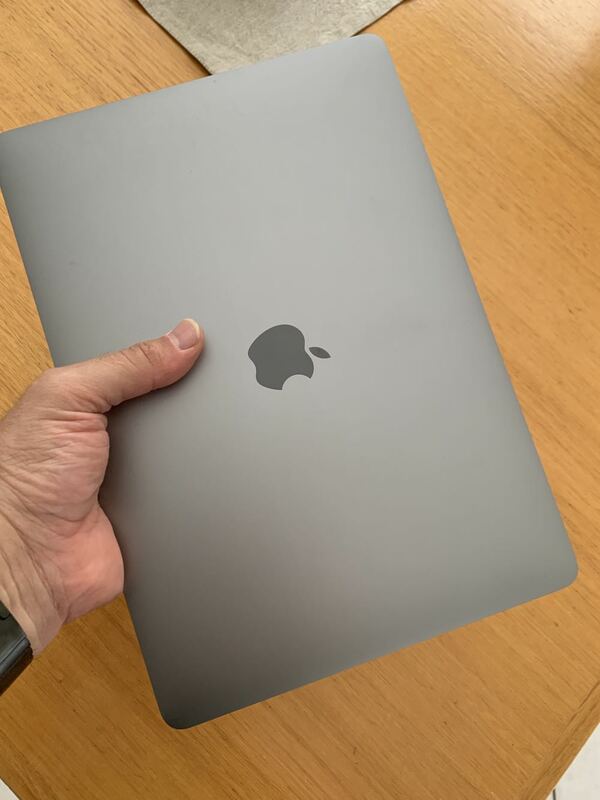 The MacBook Air has spent the last decade setting the bar for powerful yet thin laptops and the latest version maintains that leadership and delivers outstanding performance that’s wrapped in an attractive chassis.